This article is also published on Fidelity Viewpoints and can be found Forbes.com. The one day on the annual tax calendar that may matter even more than April 15 is December 31. The last day of the year is the deadline for many moves that could reduce what you owe—or increase what you get back—when you file your 2016 income tax return. Yes, you have until the end of the year to implement some tried-and-true strategies, such as contributing to a 401(k) plan at work or donating to charity, but the clock is ticking on how effective those strategies can be. The longer you wait, the more difficult it may be to take full advantage of the potential tax savings, says Gil Charney, director of tax law and policy analysis at The Tax Institute at H&R Block. Charney also cautions against implementing tax strategies without careful consideration. There are times, he says, when you might benefit from waiting until the following year, when you have time to formulate a more comprehensive approach that maximizes tax efficiency over time. With that in mind, here are some possible year-end tax moves—combined with planning tips that could help you be more strategic about your taxes next year and beyond. Pretax contributions to a traditional 401(k), 403(b), or similar workplace retirement plan could reduce your taxes by the amount of your total contribution for the year, times your marginal tax rate. If you’re in the 28% tax bracket, for example, you could save $280 in current-year taxes for every additional $1,000 you contribute up to the 2016 limit of $18,000. You have only until December 31 to make the contribution count for this year, so now is the time to contact your employer to bump up your contributions for this year (or as soon as they allow changes for next year). The maximum you can contribute to a 401(k) for 2016 is $18,000. If you’re age 50 or older, you can contribute an extra $6,000, for a maximum contribution of $24,000. Plan ahead: With the end of the year approaching, you may not be able to increase your 401(k) contributions sufficiently to maximize your tax savings. The best way to avoid having the same thing happen next year is to notify your employer now that you want to increase your automatic deferral percentage for 2017. A traditional IRA and Simplified Employee Pension (SEP) IRA offer similar tax breaks to a 401(k), although you have until April 15 of next year (plus any extensions) to make a contribution and apply it to your 2016 tax return. The maximum IRA contribution for this year is $5,500 for eligible taxpayers1 under age 50, and $6,500 for those 50 and older. SEP contributions by self-employed individuals are limited to $53,000 or 25% of eligible income, whichever is less. Plan ahead: If you’re near the bottom of your tax bracket in 2016, you might consider converting all or a portion of a traditional IRA to a Roth IRA. Generally, you’ll have to pay current-year tax on the converted amount. But if the conversion won’t push you into a higher tax bracket, the benefit of tax-free withdrawals from a Roth IRA2 when you retire might make the one-time higher tax payment this year worth it. Another option for reducing taxable income is a health savings account (HSA). If you are enrolled in a high-deductible health plan (HDHP), see if you are contributing the max $3,350 for an individual and $6,750 for a family, plus an extra $1,000 if you are age 55 or older. An HSA has triple tax benefits. Your contributions are made with pretax dollars so you reduce your current taxable income, earnings are federal and state tax free, and so are withdrawals if used to pay for HSA-qualified medical and health care expenses. The penalty for failure to take your required minimum distribution (RMD)—also called minimum required distribution (MRD)—from tax-deferred retirement accounts like a traditional IRA and 401(k) can be up to 50% of the shortfall. The deadline for taking your MRD is December 31, unless you turned 70½ this year, in which case you get a grace period until April 1 of next year to make your first withdrawal. Keep in mind, however, that if you turned 70½ this year and wait until next year to take your 2016 MRD, you’ll owe taxes on two MRDs, the one for 2016 and the one you need to take by the end of 2017. Plan ahead: One way to ensure that you won’t miss an MRD is to instruct your retirement account administrator to process the withdrawal automatically each year. Fidelity will calculate your MRD, and you can choose to take your MRD in a lump sum or in installments throughout the year. Tip: View, track, and manage distributions from your retirement and inherited retirement accounts in our Retirement Distribution Center (login required). Charitable giving can be a great way to potentially lower taxes in addition to contributing to worthy causes. But if you’re making a donation just for tax reasons, be sure your itemized deductions exceed the standard deduction. For 2016, the standard deduction—the amount you can deduct if you decide not to itemize—is $6,300 for a single taxpayer, $9,300 for a head of household, and $12,600 for a married couple filing jointly or a surviving spouse. Charitable deductions are limited up to 50% of your adjusted gross income (AGI). Remember to get a written receipt for every contribution you make worth $250 or more. Be sure to have a record of all contributions, regardless of their amount, in the form of a bank or credit card statement or receipt from the eligible organization. Hand-written notes or computer logs that you keep yourself are not acceptable. If you’re looking for a simpler and more effective way to manage your charitable giving, you might consider a donor-advised fund, which offers additional tax-planning and investing strategies. Plan ahead: If you want to give to charity but your total itemized deductions are less than the standard deduction—or you expect your income to be higher next year—you might consider waiting until after January 1 to make your contribution. Bunching two “annual” contributions into next year might be the better strategy for tax purposes. Read more about bunching in Tip No. 6. If you want to donate to charity and you’re 70½ or older, you may want to look into a qualified charitable distribution (QCD). It’s a direct transfer of funds from your IRA custodian, payable to a qualified charity, which counts toward your MRD for the year, up to $100,000. It’s not included in your gross income and does not count against the limits on deductions for charitable contributions. These can be significant advantages for certain high-income earners, but the rules are complex—be sure to consult your tax advisor. Plan ahead: You might also want to consider the advantages of donating long-term appreciated stock to charity, as mentioned in Tip No. 3. If your choice for contributing to charity is between cashing in highly appreciated stock or a QCD, evaluate which one will result in the biggest tax break before you decide. Learn more: Get information about qualified charitable distributions (QCDs). If you invest in stocks, bonds, or mutual funds in taxable accounts—a nonretirement brokerage account for instance—you may be able to reduce taxes on any realized investment gains and distributions from mutual funds. Tax-loss harvesting might sound complicated, but the principle is fairly simple. Offset your realized taxable gains on your investments (capital gains) with realized losses (capital losses). That means selling stocks, bonds, and mutual funds that have lost value, to help reduce taxes on gains from winning investments. However, don’t undermine your long-term investing goals by selling an investment just for tax purposes. Tax-loss harvesting needs to be done by December 31. Plan ahead: Taking full advantage of tax-loss harvesting requires having complete and accurate records of what you paid for your investments—the cost basis. Consider choosing the actual cost method of tracking the cost basis of stocks, bonds, and mutual funds in your investment accounts. That way, you can identify specific shares you want to sell that will maximize the loss for tax-loss harvesting purposes. Tip: Check your year-to-date gains and losses for your Fidelity accounts (login required). 6. Review your deductions to maximize tax savings. Some potential deductions, such as medical and miscellaneous deductible expenses, can’t be claimed until they exceed a certain percentage of income. Itemizing deductions is only advantageous when the total amount you can deduct exceeds the standard deduction. You want to maximize deductions in a year when you expect higher-than-normal income. For example, to maximize the amount of your qualified medical expenses that exceed the 10% of adjusted gross income threshold for being deductible (7.5% if you are age 65 or older), you could schedule and pay for deductible elective procedures before the end of the year, or pay next year’s insurance premium in advance, if possible—as long as you pay the premium yourself, rather than through pretax payroll deductions. Similarly, miscellaneous deductible expenses, such as unreimbursed employee expenses, union dues, and work-related travel, must exceed 2% of AGI to be deductible, so you could, for example, consider bunching these expenses into every other year, when possible. Bunching can also be an effective strategy for income. 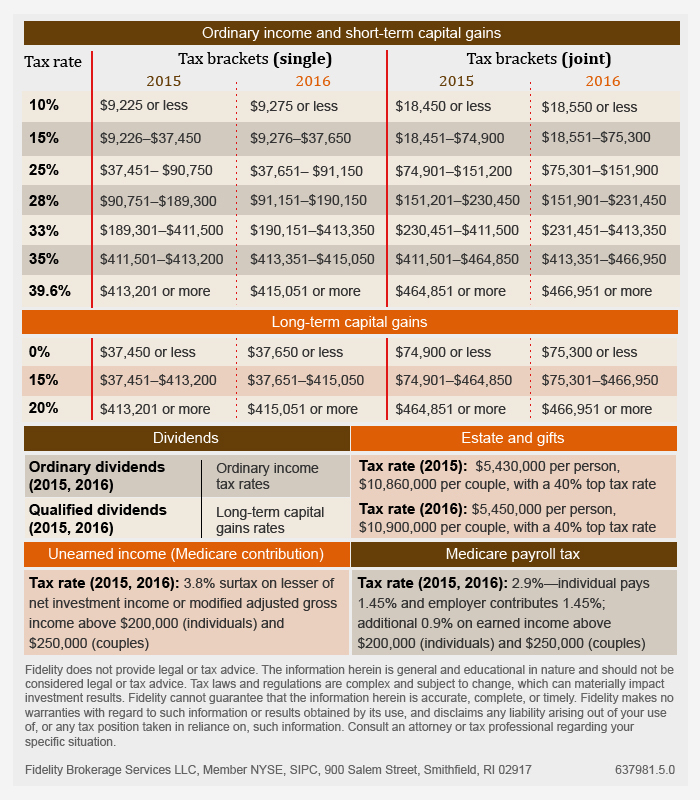 If you’re close to one of the tax bracket thresholds that would cause your marginal tax rate to be higher, you might consider bumping any discretionary income into next year. Plan ahead: Whether you’re bunching deductions or bumping income, be sure to consider what you expect your tax situation to be the following year. If you expect your income to be higher, for example, you might want to bunch your deductions next year instead of this year. Similarly, pushing discretionary income into next year might not make sense.